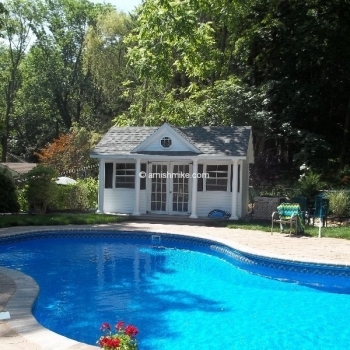 Pool houses can be used for storage, bars, shade, a man cave, or as a changing room. 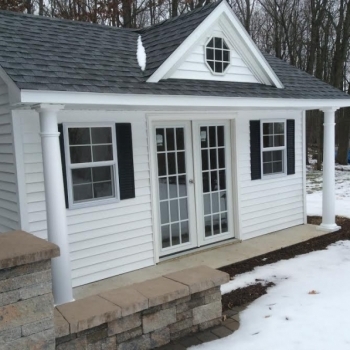 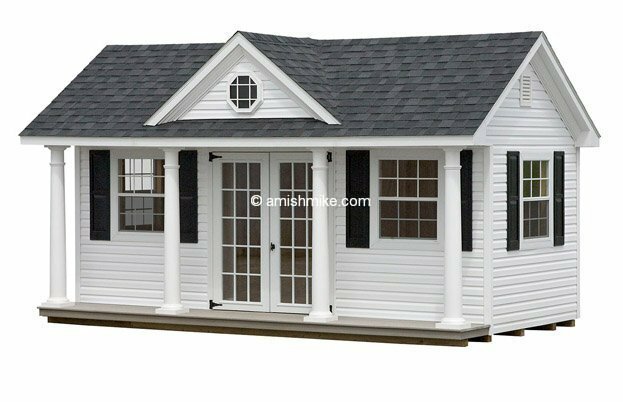 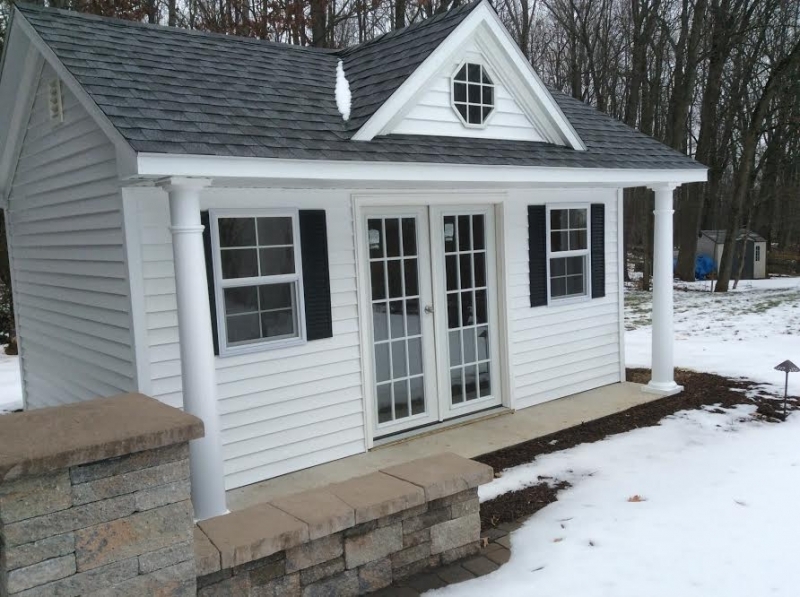 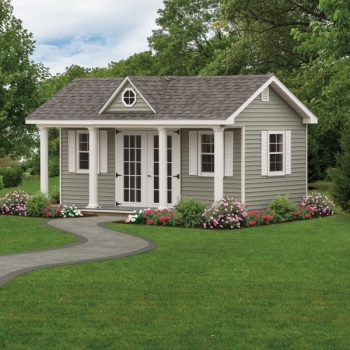 Amish Mike’s Victorian pool houses were designed from one of our shed models with a porch/overhang option, 15 lite glass top doors ( or your choice of glass top), dormer and larger windows added. 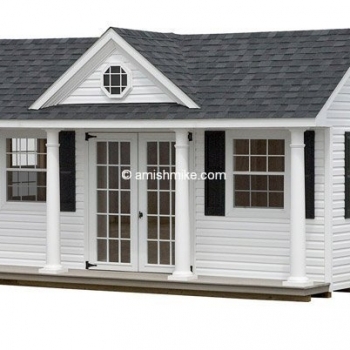 The pool house is available in wood, vinyl and/or other siding material. 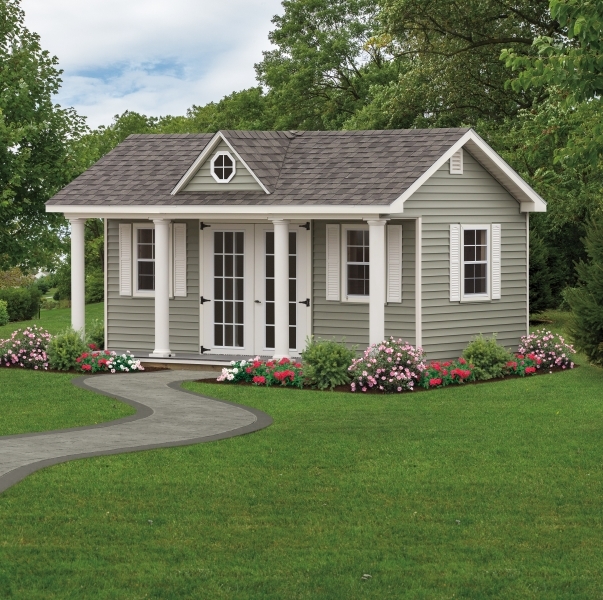 There are also many options that you can choose from including columns, larger windows, serving counters, removable windows and more! 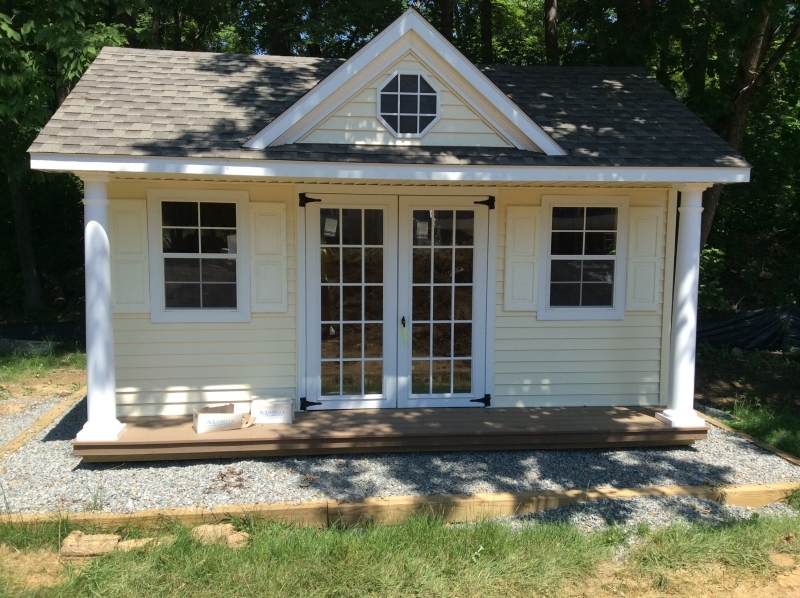 The pool house can have a front porch made of pressure treated wood or with trek material. 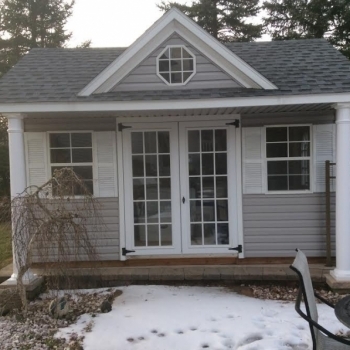 The pool house can be delivered as a single piece or built on site. 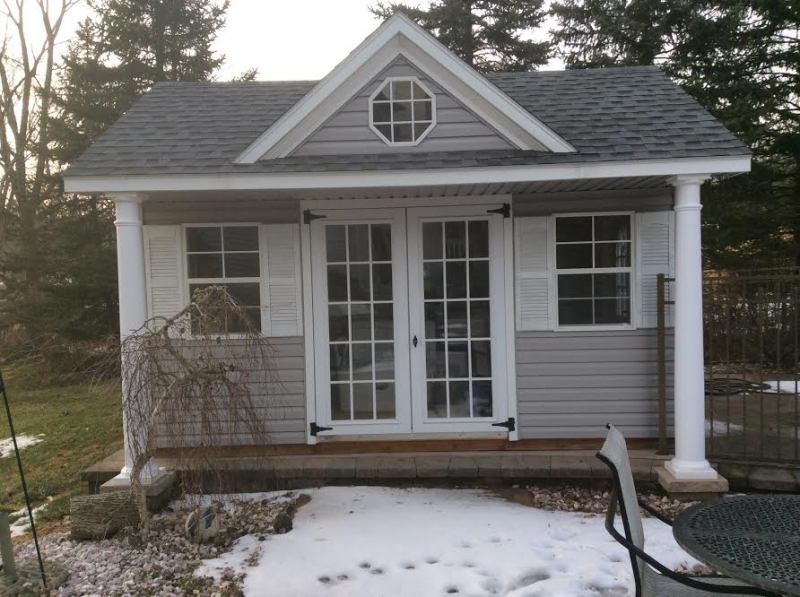 We can also set the pool house in place and then set the columns in place once the unit is set. 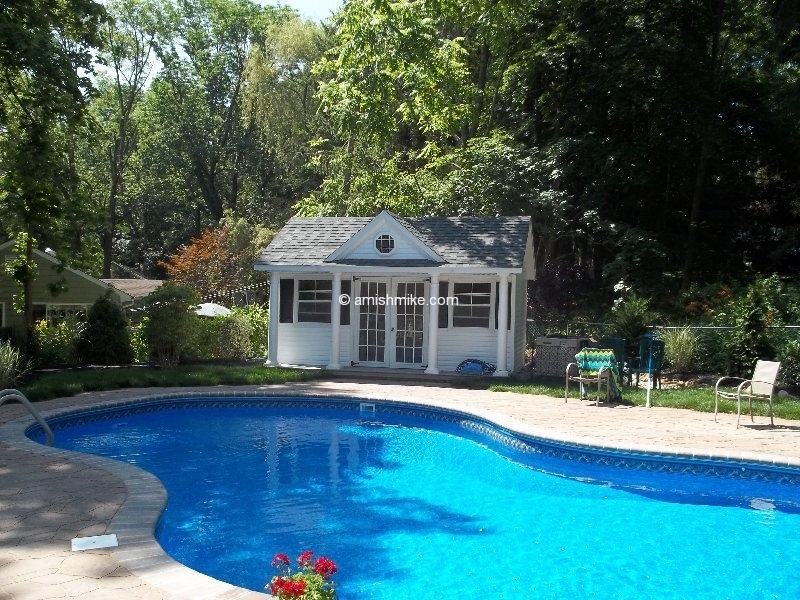 Contact us today for more details on how we can make your outdoor living area truly a backyard paradise! 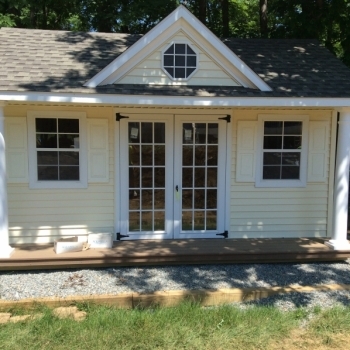 10x14 Victorian Pool House with Vinyl.